The smallest, most efficient refrigeration unit available. 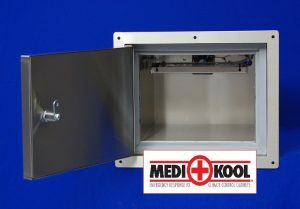 This unit comes with two different depth options (see measurements below). Compressor can be mounted to the rear, right , left or top of the unit. Door can be hinged right or left. 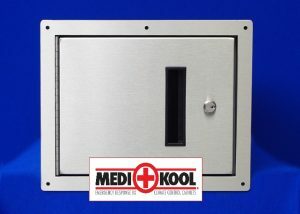 All Medi-Kool units come with our standard lock & key. Each unit can range in temperature from 32°F – 110°F with our standard control board.